How long did you take picking out your last pair of shoes? How many pairs did you try on before you bought the right one? The same for your last pair of jeans or dress shirt? If you were going to spend a couple of thousand dollars buying a tailor made suit, how many measurements would you expect them to take? And then how well would you expect it to fit? Well, why should your dry docking system be any different? In fact, because you are paying many thousands of dollars more for it, you would expect it to be even more tailor made. 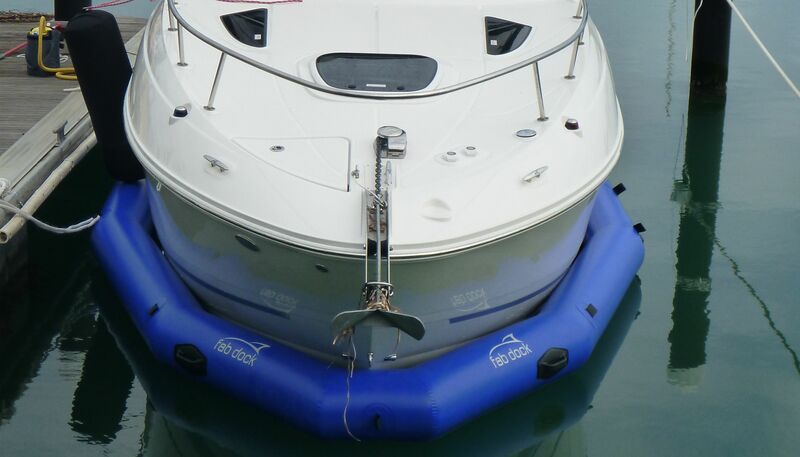 After all, we are talking about protecting your boat, and how important is that and how much did that cost? So it takes us a bit longer to measure each individual boat and it takes us a bit longer to build each FAB Dock, which means it might cost a little more than if we made a one size fits all box shape, but the benefits far outweigh this minor inconvenience. Again, did you buy the cheapest boat you could find? 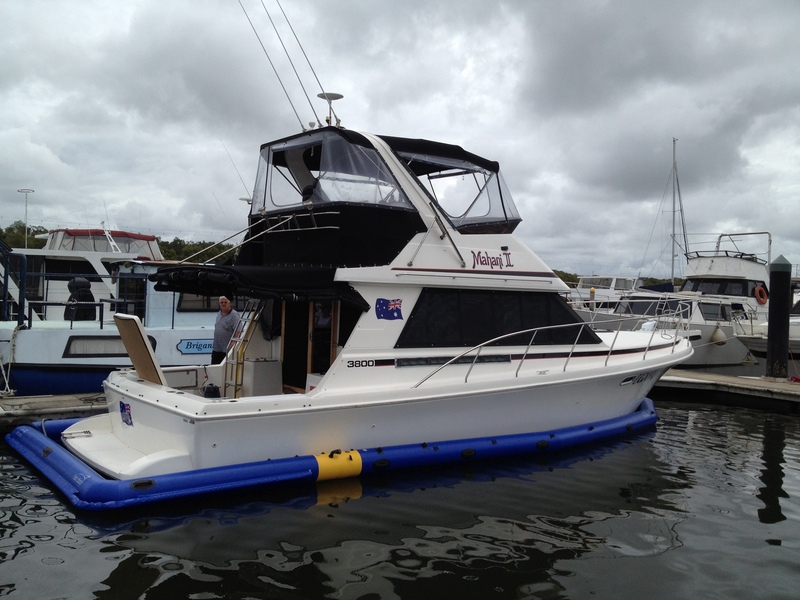 Or did you spend just that little bit more to get just the right boat that will suits your needs and last a lot longer? Simple physics says that it is a lot more difficult to squash a circular tube than it is a square box. Try it yourself. 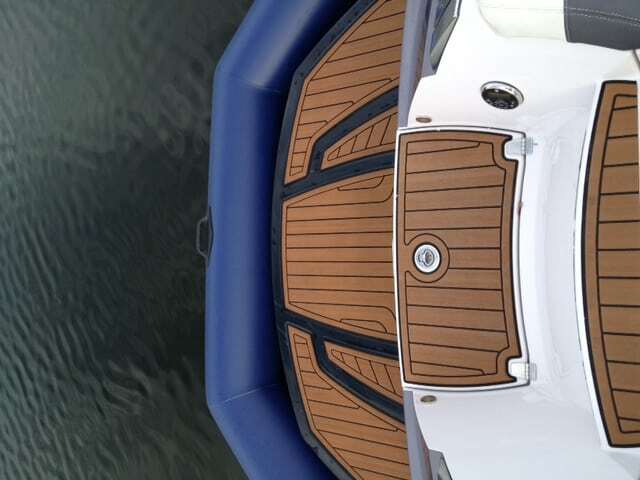 So strength is a major reason we curve each FAB Dock to mirror the curve of your boat. The second important reason is to minimise the amount water required to be pumped out, which also shortens the time it takes to have you boat dry, the main reason for buying a dry docking system. 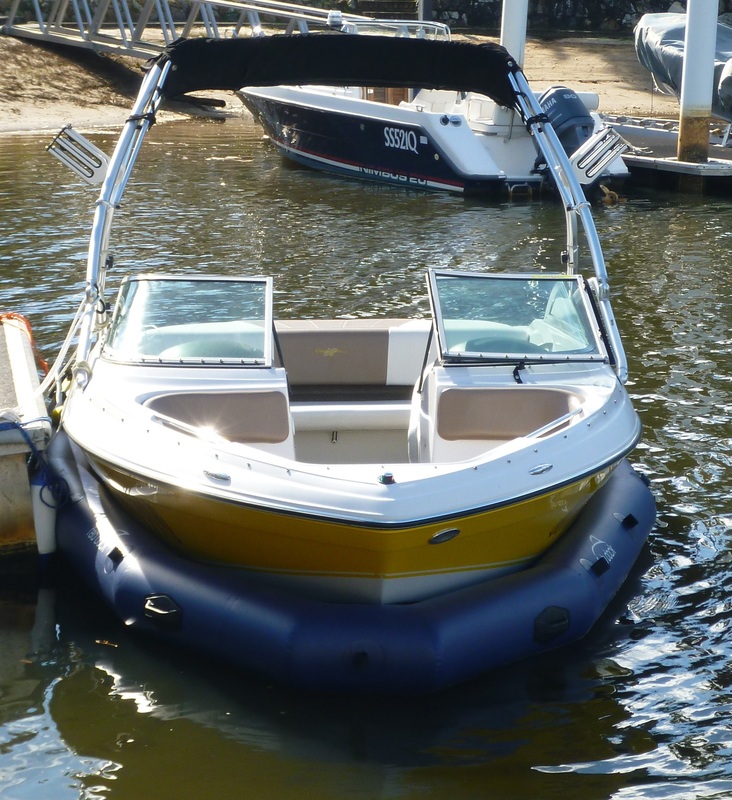 And by having your FAB Dock custom built to the lines of your boat, it minimises any catchment area for rain to enter and hence, less work again for the pumps. 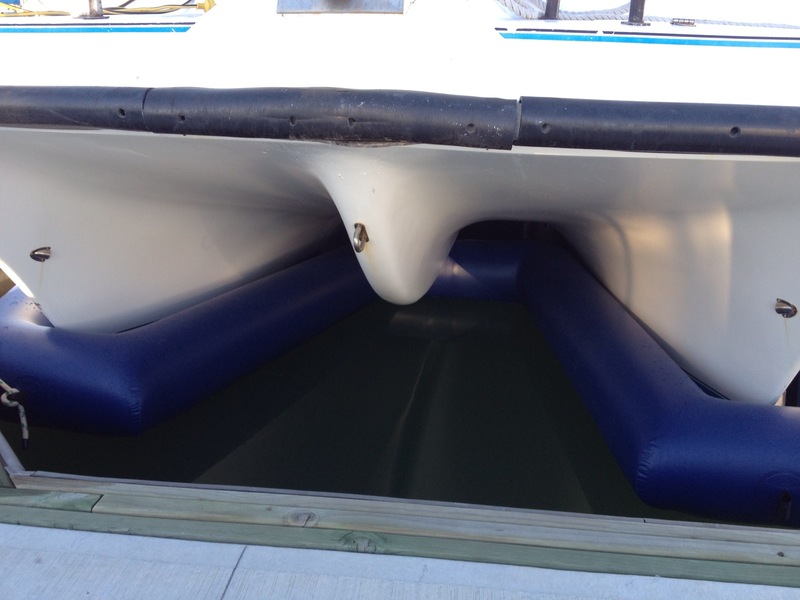 The most important reason for custom building each FAB Dock to each customer’s boat, is to aid in the berthing process. Quite a number of customers have bought FAB Docks primarily for this reason. And so it is important that the entire bow section is ‘caught’ by the FAB Dock, in case the skipper has come in a little quicker or harder than normal. So don’t let anyone convince you otherwise, get a tailor made FAB Dock for your boat, it will be the best investment you will make, since you bought the boat.